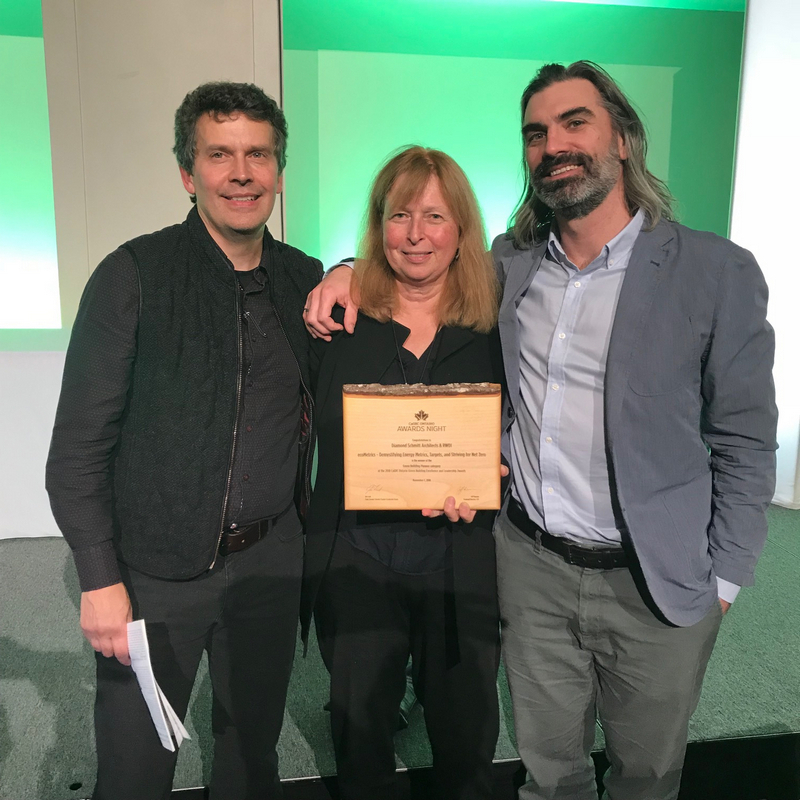 Diamond Schmitt Architects and RWDI have received the Green Building Pioneer Award from the Canada Green Building Council (CaGBC) of Greater Toronto for their groundbreaking innovation called ecoMetrics. “ecoMetrics was developed in response to the belief that improving energy literacy and setting an energy reduction target is a powerful incentive to achieve better green building results,” said Mike Szabo, principal, Diamond Schmitt Architects. 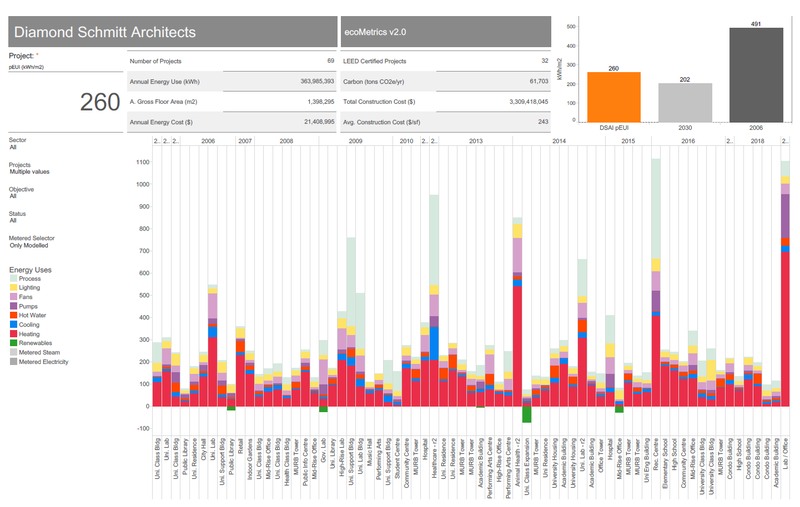 This live interactive database unpacks building energy simulation models for a growing portfolio of more than 70 Diamond Schmitt projects across a range of building types. A dataset of over 10,000 points is captured in user-friendly graphics in a series of customized templates for energy use, carbon emissions, code and benchmarking systems. “ecoMetrics creates a common language backed by a data-driven understanding of energy performance that allows for confident communication with clients and consultants and points the way to achieving low-energy building design,” said Birgit Siber, principal with the design firm. The Green Building Pioneer Award recognizes initiatives and individuals who demonstrate an innovative approach to the advancement of green building technology, products, design and performance. “As a result, their unique passion pushes the industry, their competitors, customers and employees towards continuous improvement ultimately helping the CaGBC achieve its ultimate goal of every building greener,” the CaGBC said in a statement. Earlier this year, Diamond Schmitt won the CaGBC Sustainable Design Award in the Institutional category for the innovative Environmental Sciences and Chemistry Building at University of Toronto Scarborough.